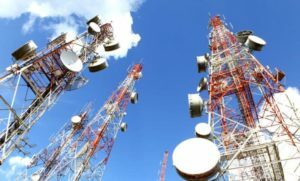 The telecom policy has been put in place to give all states, central agencies and other key players like telecom companies and start-ups a general idea of what they can expect from the government in the next few years. The Government of India on May 1, came up with a new draft policy for the telecom sector calling it the National Digital Communications Policy 2018, in order to boost the emerging technologies like 5G, Artificial Intelligence (AI), robotics, cloud computing, Internet of Things (IoT) and machine-to-machine communications. The draft was released by the Department of Telecommunications (DoT), and it also laid out plans to create four million jobs and attract USD 100 billion foreign investments by 2022. “It is comprehensive, focused and lucid. It sets clear strategic goals and is clearly what is required to propel India as a key player in the global knowledge revolution. The long-awaited policy will now be put forward for discussion among the stakeholders and will be given a final shape to guide the evolution of telecom industry in the country,” said Rajan S Mathews, director general, Cellular Operators Association of India. The Economic Survey 2017-18 noted that the telecom sector is going through a stress period due to a huge debt pile, tariff war and irrational spectrum costs and has called for policy measures to minimise the over-bidding of assets during auctions. The new draft mentions the heavy debt of the telecom sector and promises to help by reviewing the licence fees, spectrum usage charges, universal service obligation fund levy, all of which add to the cost of telecom services, under the new policy for enhancing ease of doing business in the sector. How beneficial is it for consumers? “The draft is a consumer-centric policy with the basic aim of ensuring that the advantages of new technologies are accessible to all citizens equitably and affordably, while securing them against the existing and emerging threats. These include ‘Broadband for All’, public Wi-Fi Hotspots and appointment of an Ombudsman,” says TV Ramachandran, President of the Broadband India Forum to a leading daily. The policy also aims to increase the contribution of digital communications to India’s GDP to 8 pc from 6 pc in 2017, besides pushing India among the top 50 nations in the Information and Communication Technology (ICT) index. The goals that DoT has set through the new draft are to increase India’s contribution to global value chains, creation of innovation led start-ups in digital communication sector, enhancing ease of doing business in the sector, creation of globally recognised IPRs in India, development of standard essential patents in the field of digital communication technologies, absorption of new technologies like 5G, train/re-skill one million manpower for building new age skills, expand IoT ecosystem to five billion connected devices and accelerate transition to industry 4.0. How are they planning to achieve it? In order to achieve its target by 2022, the draft policy sets three missions, that are Connect India, Propel India and Secure India. Under Connect India, the policy aims to provide the broadband coverage at 50 mbps to every citizen and enable deployment of 10 million Wi-Fi hotspots by 2022 and provide connectivity in all the uncovered areas. It has also been proposed that spectrum should be utilised efficiently and the need for satellite communications should be developed. The policy aims to expedite the right of ways permissions in government buildings and also promote green towers, in order to facilitate mobile tower infrastructure. It also plans to establish a comprehensive data protection regime for digital communications that safeguards the privacy, autonomy and choice of individuals and facilitates India’s effective participation in the global digital economy. The draft also proposes to recognise the mid-band spectrum, particularly the 3 GHz to 24 GHz range, for next-generation networks. It also outlined a roadmap for backhaul spectrum for transmitting signals between mobile towers according to international best practices. But the biggest challenge that the government is going to face is acquiring investment worth USD 100 billion. Currently, the telecom sector is financially crunched and can hardly invest more than USD 10 billion. Getting investment for 5G will be a tough task for the government.